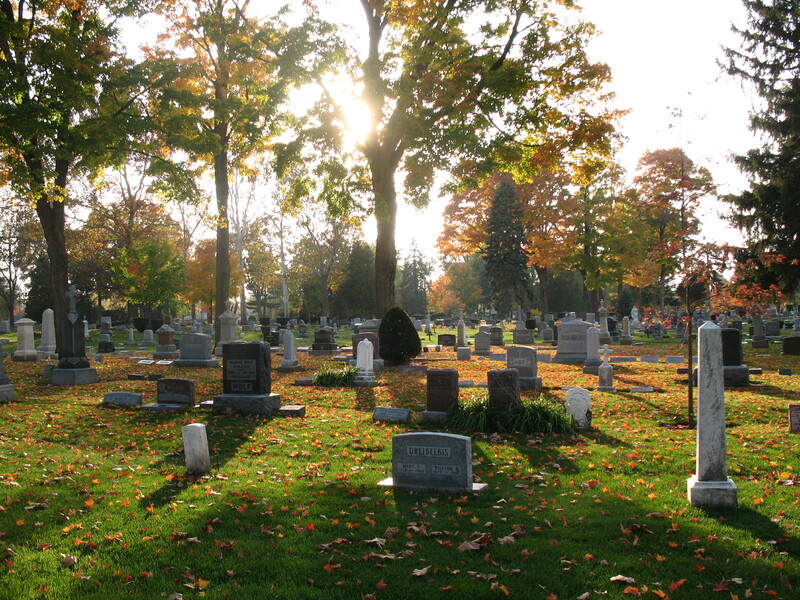 I’ve finally convinced my children that it can be both informative and restorative to visit cemeteries. Is this a major accomplishment and testimony to my superlative parenting skills? Yes, most definitely. My daughter and I paid a brief visit to Michiana over the weekend. Michiana is that difficult area that is part Michigan and part Indiana and completely difficult to explain to New Yorkers. You fly through Chicago or Detroit and change planes to South Bend but my family didn’t live in Indiana even though I went to high school there and my dad worked there. So, sometimes I say I’m going to Chicago – lots of people have heard of Chicago. Other times, I say I’m just going home and then try to field the questions about where exactly that is. But if you grow up in this no-man’s land, you get really used to moving back and forth over the state line so often it tends to blur. It’s Michiana and it’s where my family is. I stepped out of the car to visit their graves, leaving the window on the driver’s side open. When I got back, there were two leaves on my seat. I took that as a sign. 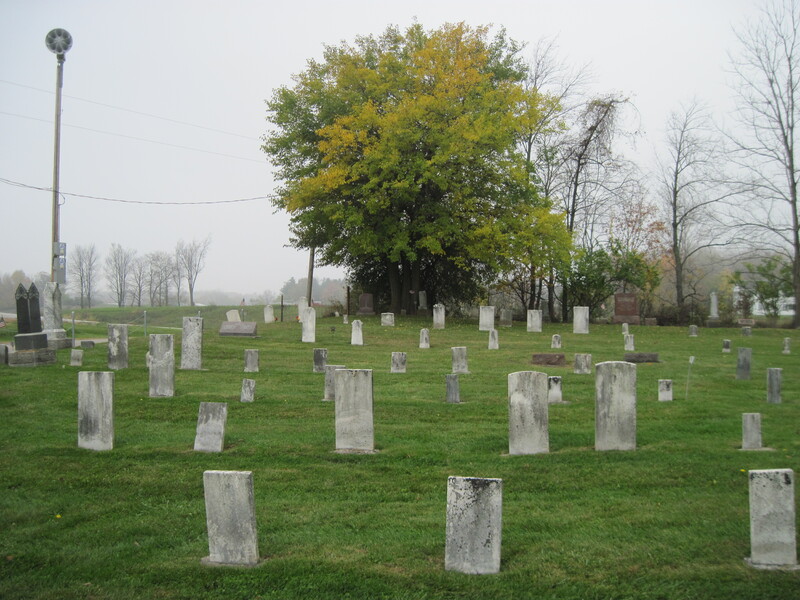 The next day, we left early to find a cemetery farther south near Culver, Indiana where my 4th great grandfather and his wife are buried. This was a beautiful, very old cemetery but it was in wonderful condition and their stones were quite beautiful. I took some photos and got back into the car and saw the trunk light “open” light was on. My daughter assured me I had somehow pushed the trunk button and she got out to close it and we drove on. The next graveyard was in Argos where my great grandparents and their siblings are buried. I have a twice great grandfather who was a Union soldier and his gravestone was donated to his family by the US government. There’s a metal marker identifying him as a veteran too. While I was standing there, a ladybug landed on the back of my jacket. I took that as a sign too. 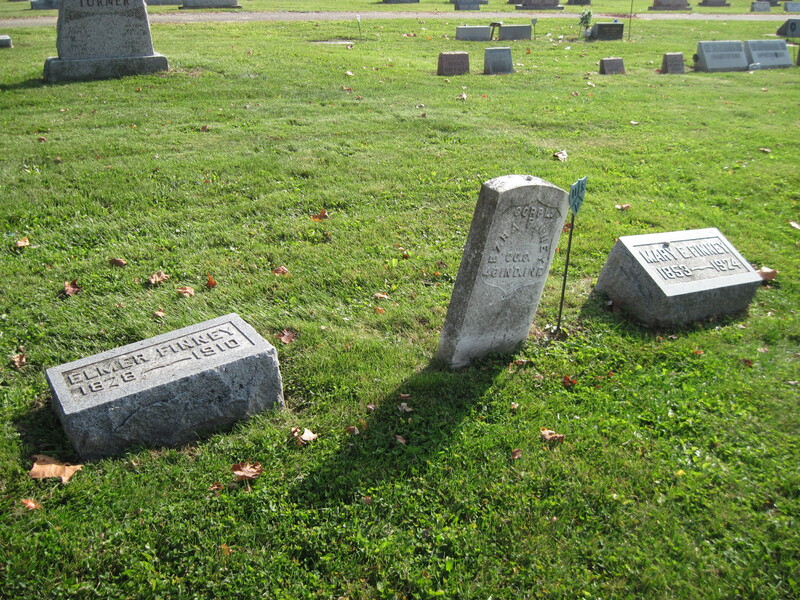 Our next stop was at a nearby cemetery in Plymouth where the pioneers of my father’s family are buried. The stones are broken and very difficult to read, but I have the cemetery records and can identify the occupants of each of the plots in the farthest and oldest section. When I visited this site a few years ago, the cemetery officer who took my phone call was kind enough to post bike flags on the graves so we could know which were our family’s graves. And he took and sent me photos which was a tremendous kindness. When I got back in the car, again the trunk light came on and again my daughter closed it, reminding me not to hit the trunk button and we went into town to shop a bit and get lunch. We found ourselves in the midst of the annual Halloween parade with kids and grownups alike in costume. It was wonderful – not at all scary. Just wonderful. 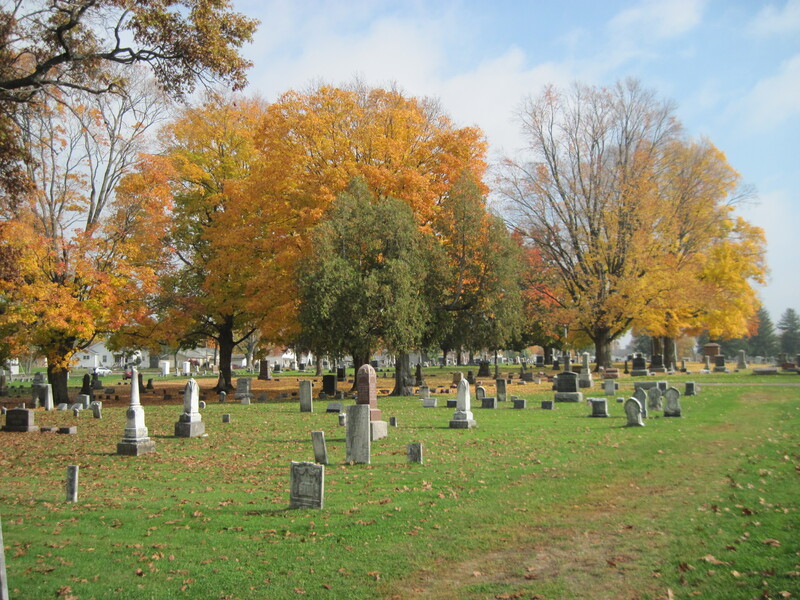 The next day, we stopped at the cemetery where my mother is buried and laid small stones on her grave to let people know someone had been there, someone cared. I found the grave of one of my best friends who died in the 8th grade and placed a stone there as well. It seemed the thing to do. But it was only on our way out of town, back to the airport, that I needed actually to open the trunk to put something inside. To get into the trunk – triggering that warning light – I had to pull up hard on a lever near the bottom of the driver’s side door. This action releases the lid and you can get things in and out – but it’s just not a button you could graze with your jacket. It’s a handle. And you pull it back until you hear the trunk lid pop open. I think I have to take that as a sign too. Creepy? Oh yeah. But wonderful? Most definitely. The spirits are with us these days. This is a must read blog – wonderful insight into living in southwest France. Autumn has been warm and sunny here in the Barguelonne valley. The landscape in this part of southwest France, lower Quercy, embraces me in just the right way. Have you ever found yourself somewhere you have never been before, but felt at home, centered, or just right? It was love at first sight, and walking around this “paysage” has deepened my appreciation of this beautiful part of France. The topography of the area features limestone ridges and plateaus that run parallel to each other, divided by fertile river valleys. Green cups of heavily cultivated fields are tucked into the folds, like thousands of greenhouses. These “serres” are unique growing regions, each with its particular sun exposure and soil characteristics. In viticulture that’s called terroir, which I discussed in my post about a local vineyard. The pastoral ambiance is everywhere, but with remarkable variation.